Congratulations to Firefighter Nate Gathercole. Nate starts his college education and the process to be commissioned as an Officer in the US Army by attending the Valley Forge Military Academy. After a brief cadet in-processing at the VFMC this week he will soon head off for Army Basic military training at Fort Knox before returning to VFMA for his freshman year. Nate will be part of the 91st Corp of Cadets attending Valley Forge Military College this fall. 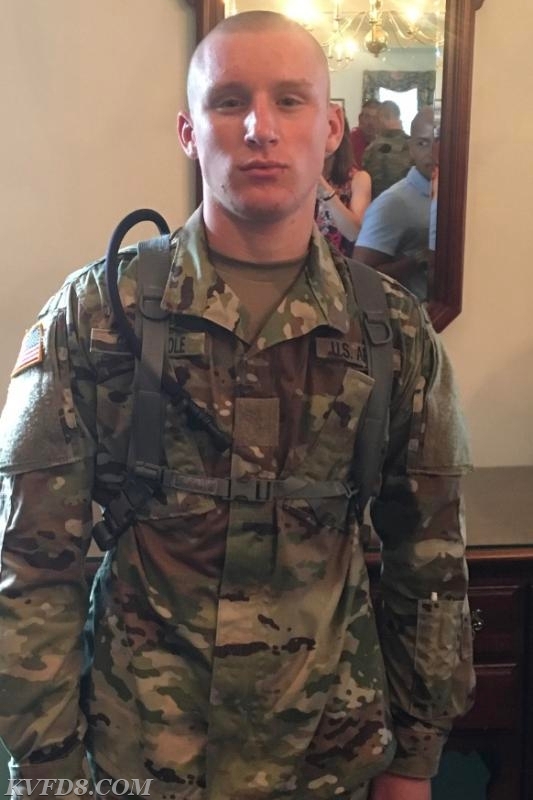 Every summer for the next three years he will taking additional Army training, and upon graduation from the VFMA, earning a commission as a Lieutenant in the US Army with a four year commitment. Nate comes from a family well known for serving others in the fire service and law enforcement. 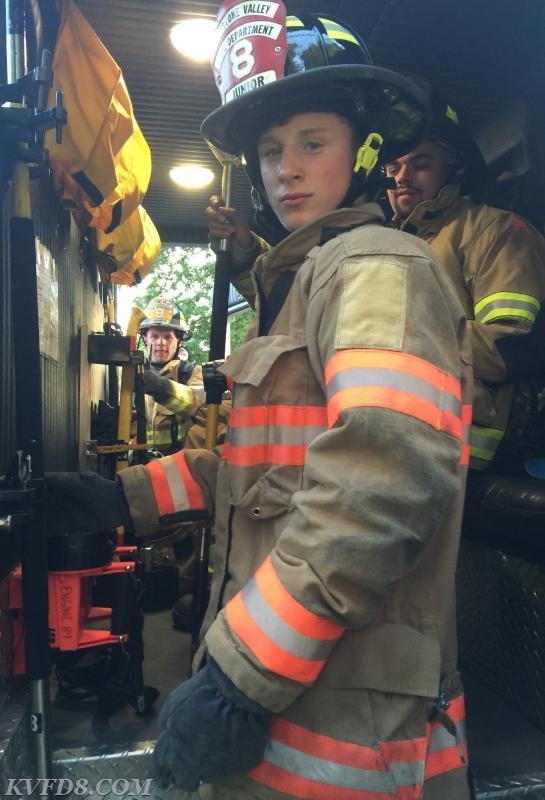 He has been a member of KVFD since 2013, and graduated from the Coatesville Area High School this year. He was recently employed as a security officer with Signal 88 Security. Many other KVFD members also are Veterans. Congratulations Nate, and thank you to all for your service to both KVFD and our Nation! FF Nate Gathercole starts the process to be commissioned as an Officer in the Army.